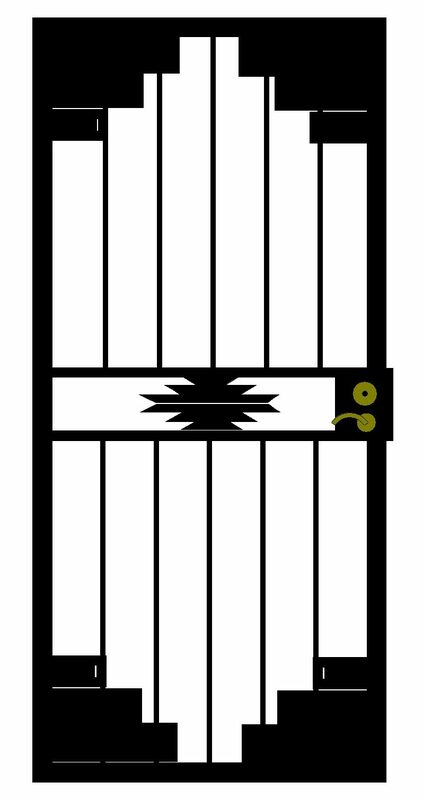 At Steel Advantage in Phoenix, AZ, our security doors offer you more value and better security than other security doors on the market. 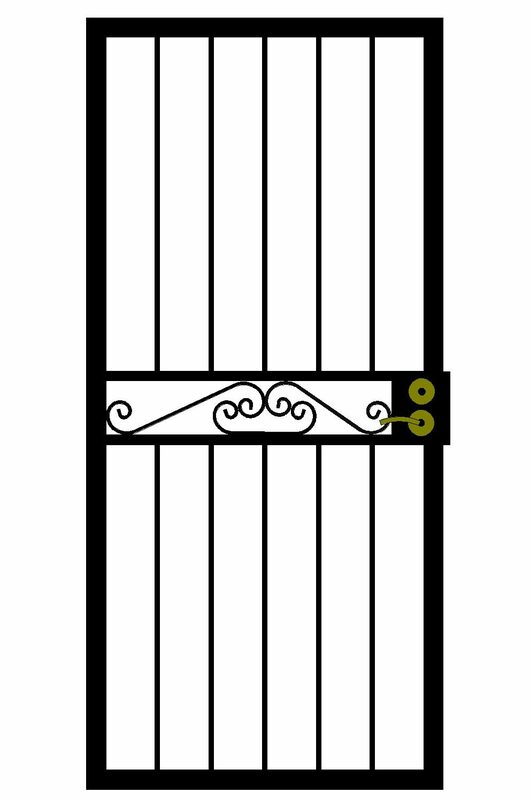 That’s because when you purchase any security product directly from us, you get a custom security door, made to your specifications and a level of service that no one else in Phoenix can match. 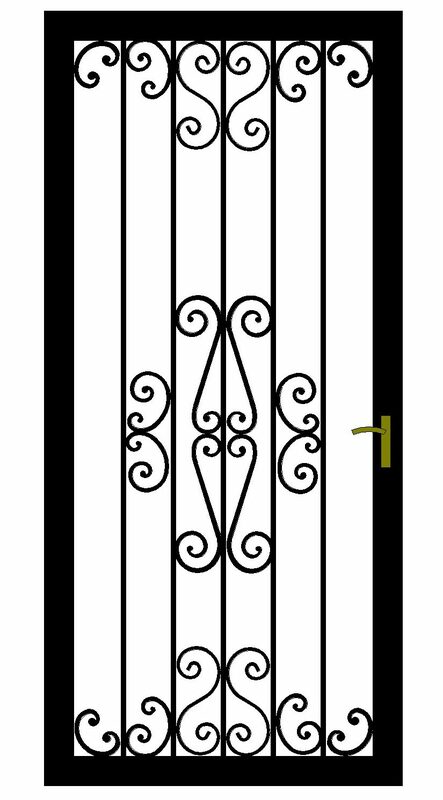 Plus our security doors come standard with many features you’d pay extra for from one of our competitors. 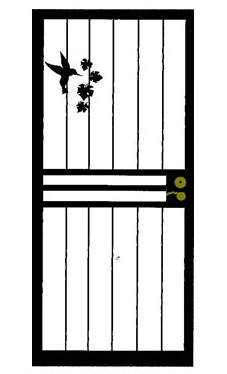 Looking for ideas for your next security door? Keep scrolling to the gallery below, shop by our most popular styles, or design one of your own. 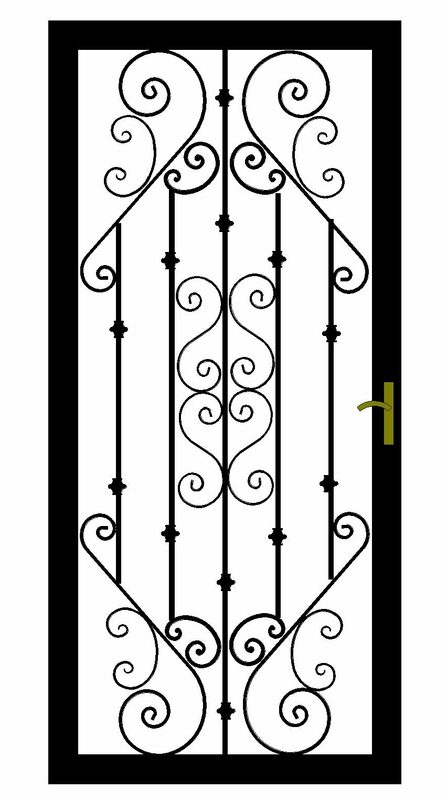 Our doors are conveniently grouped from most affordable designs, to the most upscale designs. 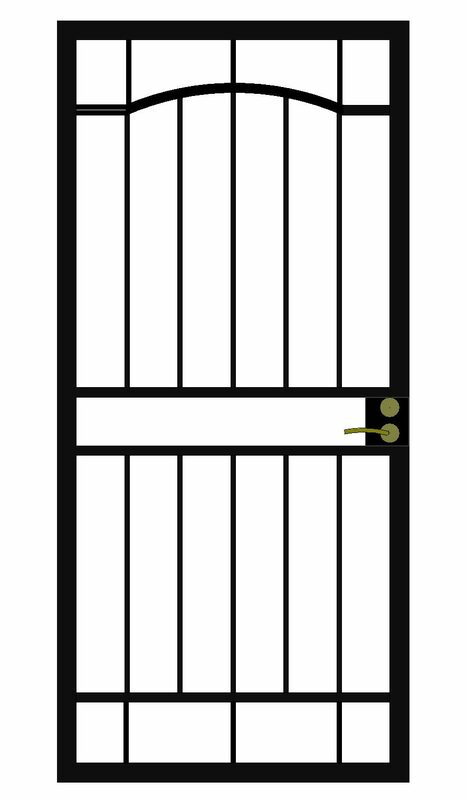 The most affordable doors are in Group A, while the most upscale are in Group E.
Keeping your home secure doesn’t mean you have to sacrifice style and curb appeal. 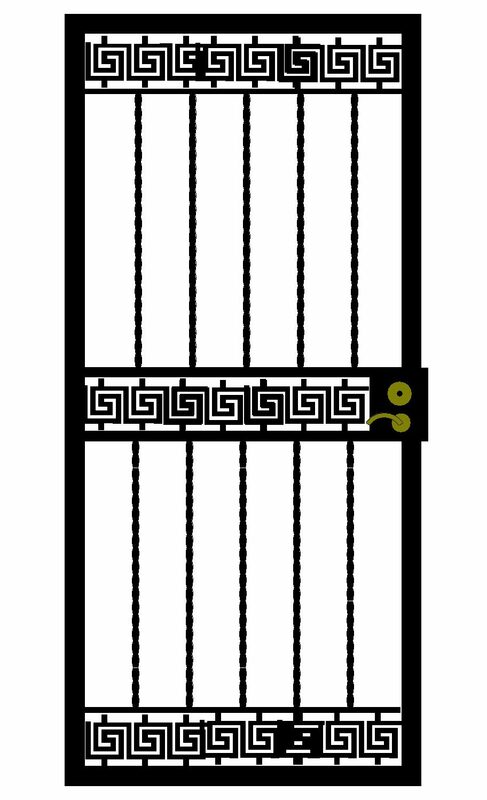 Here at Steel Advantage, we believe strongly that your Phoenix area home doesn’t need to look like a prison. 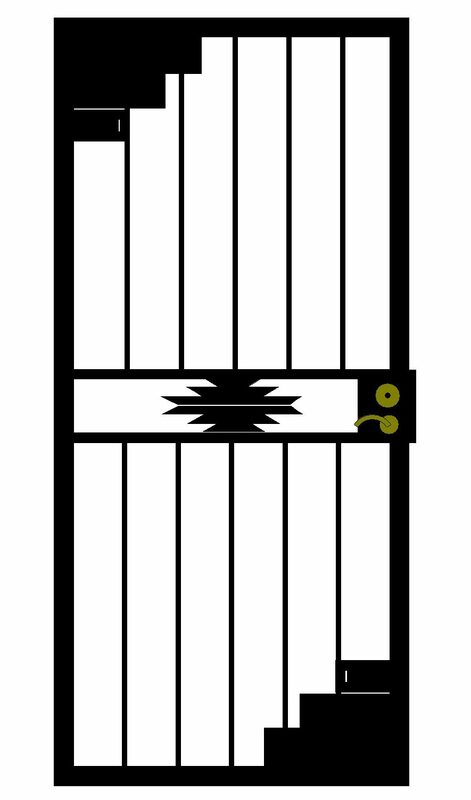 We can build you a security door for a stylish access control solution, pet retention, or simply a dramatic entrance to your home or business. 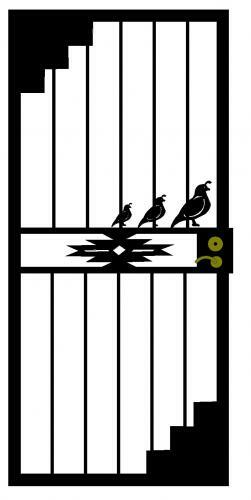 There’s no limit except your own imagination to the security door designs we can create for you. 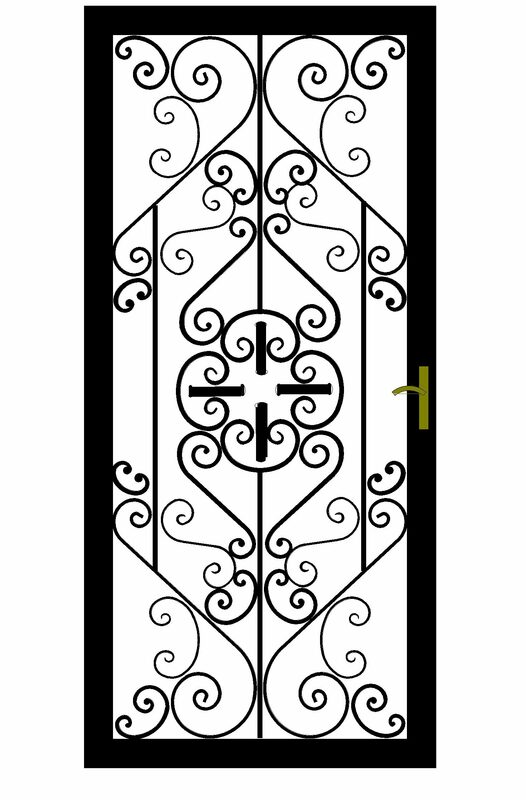 In fact, we can duplicate most designs you see. 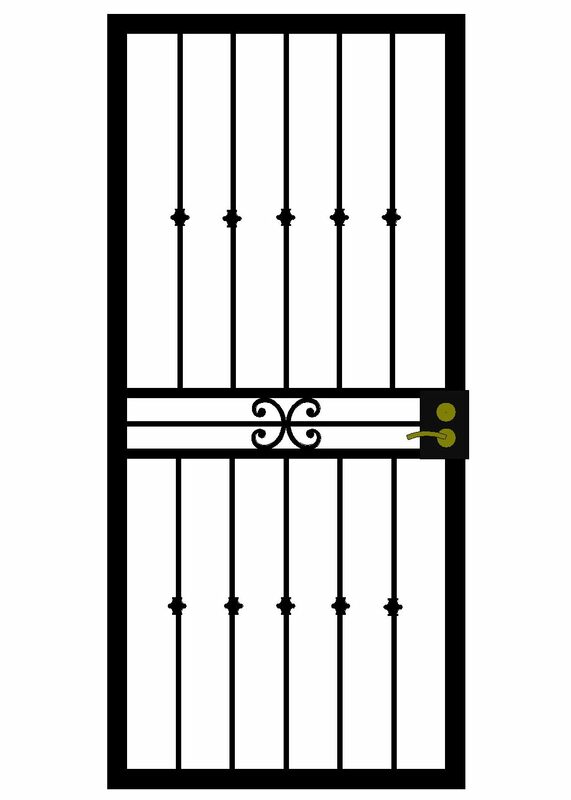 Any security door design can be duplicated into an open air gate, double door, or arcadia door so all your doors and gates match. 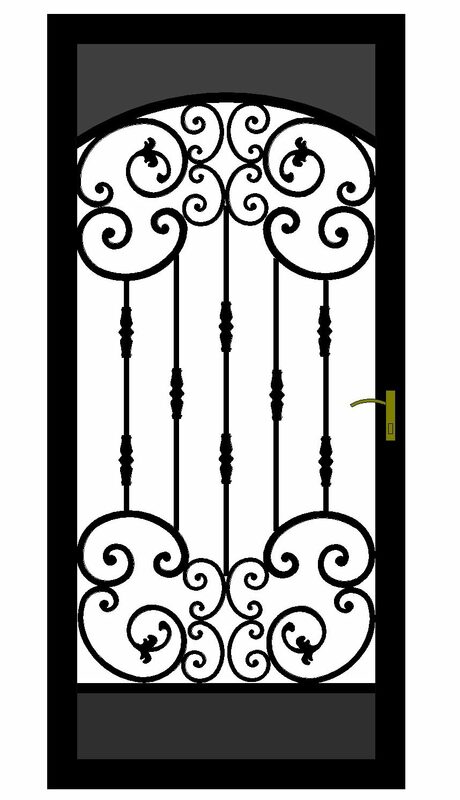 Plus here at Steel Advantage, we offer over 150 designs in a variety of styles, from Contemporary to Southwestern, as well as our Old World style line. 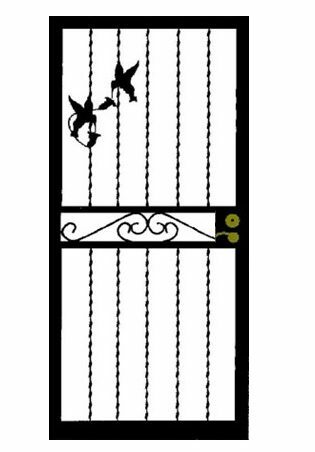 Want a gecko, cactus, or hummingbirds on your door? No problem. 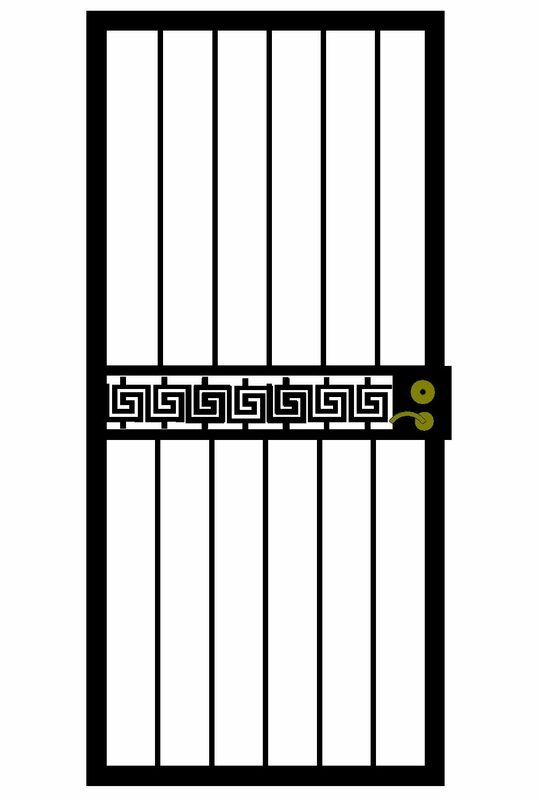 Hate security doors with bars even if they have a unique design? That’s okay too. 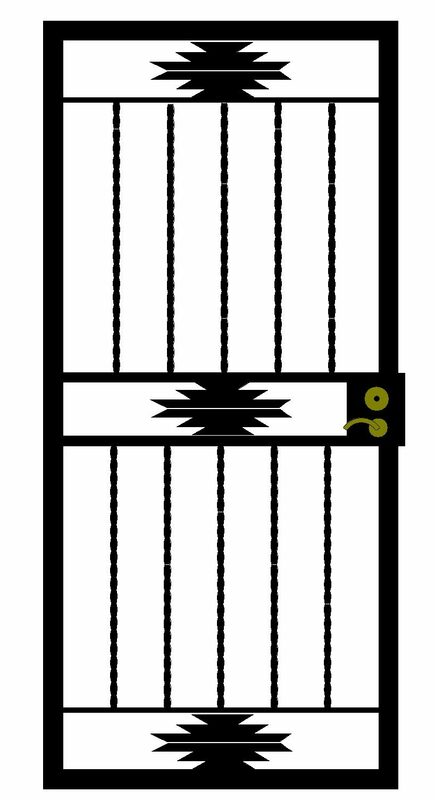 We have a great security door with no bars that’s just as secure as any of our regular single security doors. 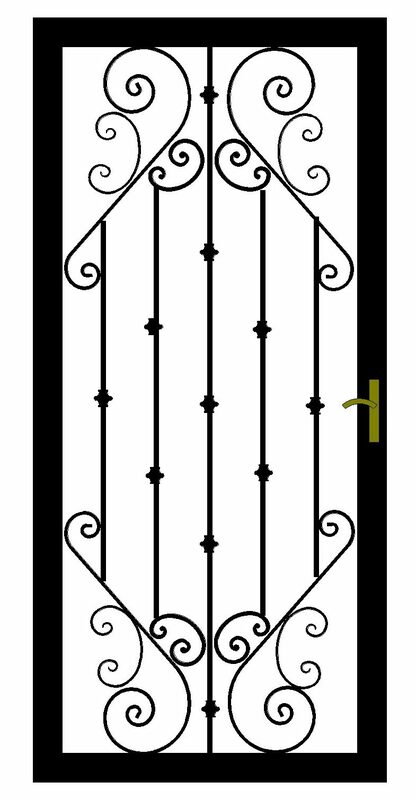 Each individual security door is handcrafted in Phoenix, AZ by our factory trained artisans, using steel produced 100% in the USA. At Steel Advantage you will always be dealing with company employees, never a sub-contractor. 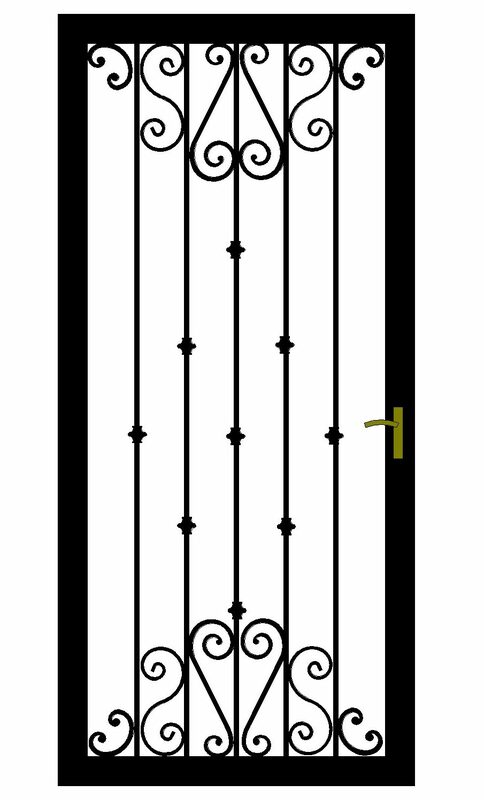 All our security doors come with the same standard features as our other security products. 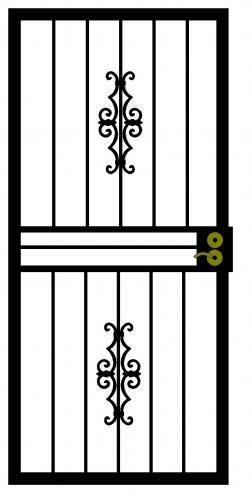 Take a look a look at everything that comes with your security door purchase. 50% Polyester weave Bug Screen for great airflow & visibility. 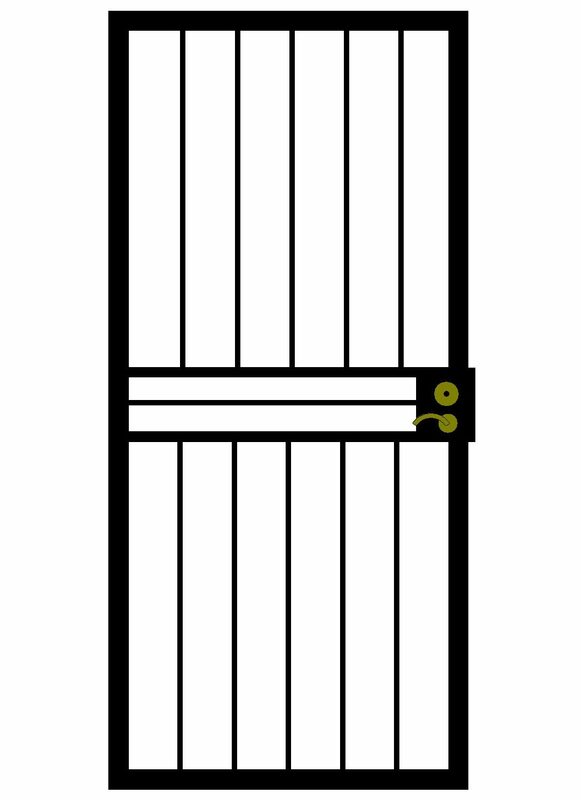 Flush Mounting, Mitered Corners on Doors & (when needed Tube Frames). Inset Felt Weather Strip for Bug Tight seal. 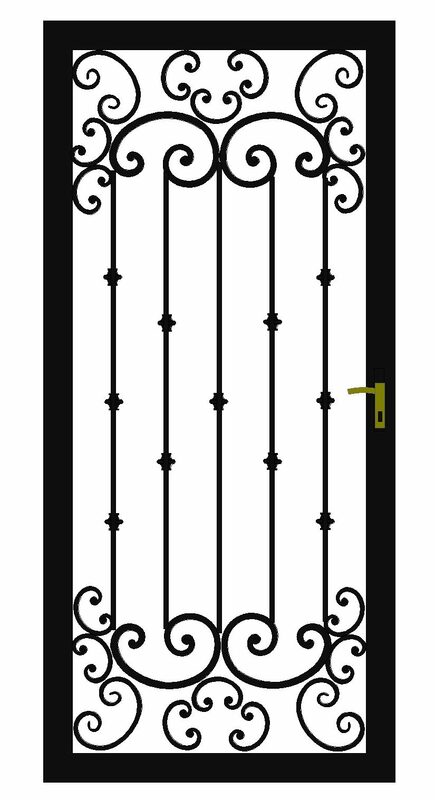 Powder Coated Doors, Screen Frames & Screws. 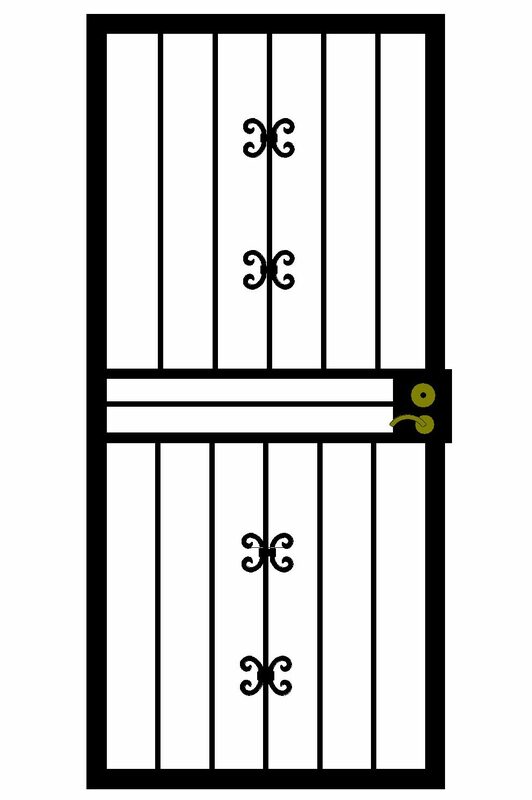 Slimline Locks Center Mounted (full view doors) or Lock Box Deadbolt & Lever (3 piece doors). 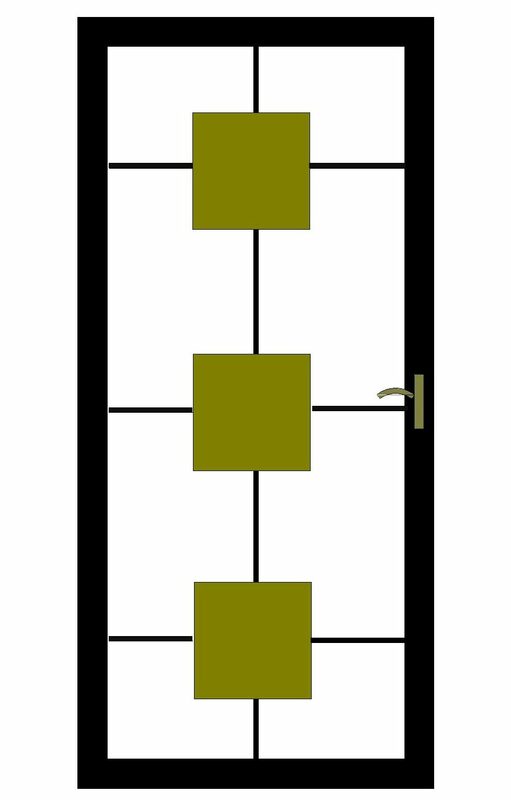 Pneumatic Door Closer, Wind Chain. Dual Edge Door Sweep, Sill to seal bottom gaps. 5 Gage Steel Vault Pins, Tamper Resistant Hinge Screws. Packaged for transport to avoid scratches. 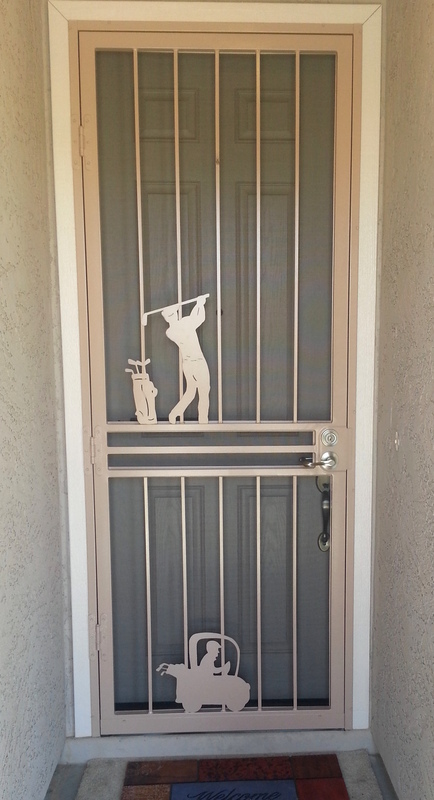 Durable Powder-Coated Finish in 24 Standard Colors. 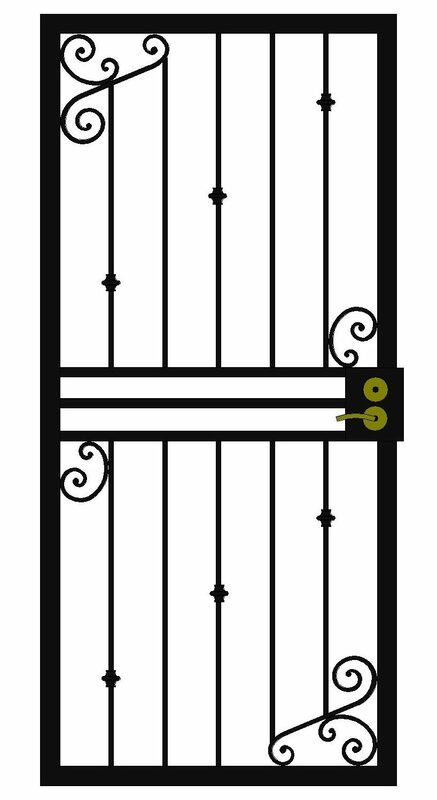 The Steel Advantage associate responsible for your security door purchase represents a highly experienced staff of craftsman and installation technicians, who bring you the highest quality products backed by the strongest and longest warranties in the industry. 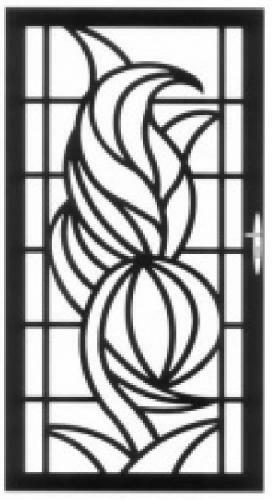 Take a look at our huge selection of single security door designs below, then call us today for your free estimate.